East African Legislative Assembly lawmaker Oburu Oginga (pictured) now says he supports the handshake fully. Oburu claimed he is one of the leaders who have been firmly supporting the handshake since it was brokered last year. 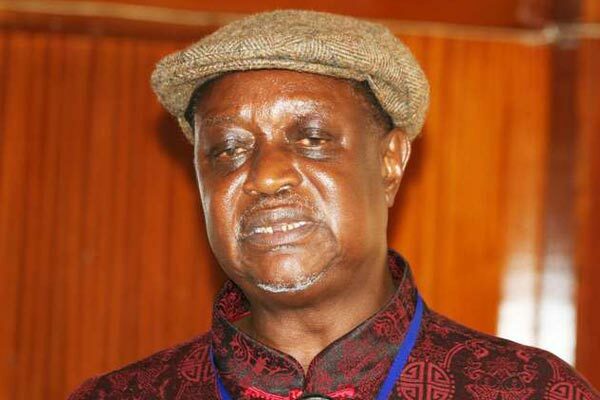 Last week, Oburu, who is Opposition leader Raila Odinga’s elder brother, made headlines when he warned the NASA leader to reconsider his support for the handshake if President Uhuru Kenyatta was unable to tackle corruption. Speaking in Migori at a fundraiser for a local secondary school yesterday, Oburu asked the President to intensify the war on corruption to back up his hard talk. “I support the handshake fully. Talking about it is good but Kenyans want more action. We want to see heads rolling,” he said. There have been calls for the President to act on State officials linked to corruption. Yesterday, Oburu said the war on corruption will not be won easily and efforts to eliminate it must be intensified. He criticised leaders launching attacks on State organs leading the fight against corruption and asked President Kenyatta to continue his war on graft. “Corruption fights back and it fights back very hard. You cannot let corrupt people to advise you on who should investigate them,” he said. He was accompanied by governors Okoth Obado (Migori) and Cornell Rasanga (Siaya) senators James Orengo (Siaya) and Ochilo Ayacko (Migori) and MPs Samuel Atandi (Alego), Elisha Odhiambo (Gem) and Lilia Gogo (Rangwe). The leaders also called for intensified efforts to fight corruption and urged Kenyans to support President Kenyatta. They said that the war on corruption was part of the handshake deal between the President and the ODM leader. “The war on corruption has not been adjourned. It must continue until we eradicate the vice from our country,” said Atandi. Odhiambo accused legislators allied to Deputy President William Ruto of scuttling the the war on corruption.